Kekla Magoon, keynote speaker for the closing ceremony of the Big Read this year, is the author of X: A Novel. The book is a fictional retelling of Malcolm Little’s childhood and young adult years before he became the man we remember today as civil rights activist Malcolm X. Magoon’s book was selected as this year’s Big Read novel, for which Magoon was a keynote speaker. Magoon was born in Ann Arbor, and her parents both worked at the University of Michigan. Her mother also attended Albion College for a time. She grew up in Fort Wayne, Indiana, but spent several years as a child in Cameroon. Magoon went to college at Northwestern University in Chicago. She has a Masters of Fine Arts in Writing for Children, and is the author of several other young adult novels, including The Rock and the River, Fire in the Streets, and How it Went Down. 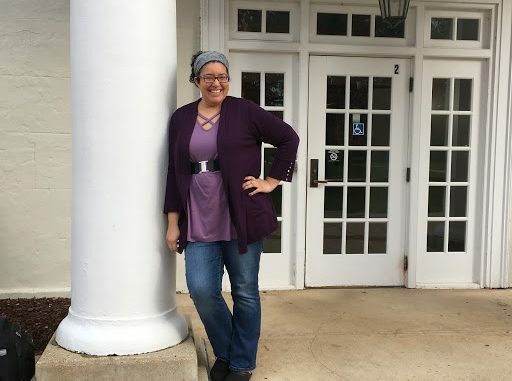 She also teaches writing for high school students in Vermont, and has been involved in several non-profit organizations. She has also been awarded several awards, including two Coretta Scott King Honors, and the NAACP Image Award. Magoon co-wrote the book with Malcolm’s daughter, Ilyasah Shabazz, who approached her with the idea to write the book because she was impressed with Magoon’s previous young adult novels. 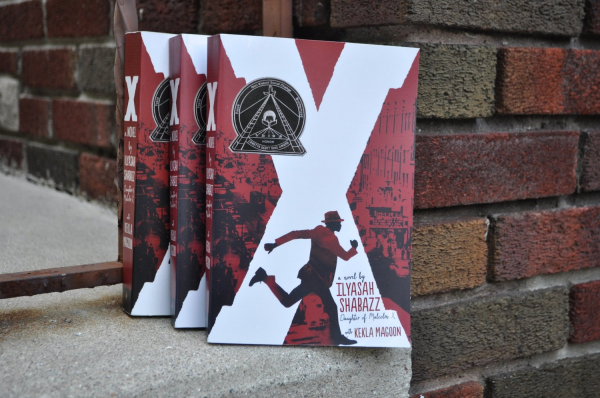 “I think [Shabazz] wanted to tell the story of her father in a novel, so she was looking at young adult writers who were writing things that were similar, or who could write Malcolm X’s experiences in a way that would work well for her,” said Magoon. Shabazz came across Magoon’s novel, “The Rock and the River,” a novel about a young African American growing up during the Civil Rights Movement in Chicago, and Magoon believes that resonated with Shabazz as something that her father would have cared about because of similarities to his own childhood. Magoon said she was surprised and excited when Shabazz reached out to her through her agent. Magoon said Shabazz thought it was important to point out that at one point in her father’s life, he didn’t know he would become a famous speaker and leader, and he didn’t know what sort of impact he would have on those coming after him. She felt that it was important for young people facing the same concerns to know this. She went on to explain how, as a young person, Malcolm was lost, and she believed that in many ways, he was running away from his potential rather than acknowledging that he had the ability to make a difference in the world around him. “Writing a novel about him as a teenager makes him more relatable to teenagers who might be reading the book, and helps them to understand that we don’t know what’s possible for ourselves,” Magoon said. Magoon was also interested in writing this story as a young adult novel. To prepare for the book, Magoon read several biographies that Shabazz recommended for representations of Malcolm’s life. Shabazz also put her in contact with Malcolm’s family members. Shabazz was only two years old when her father was killed, so she doesn’t have many memories of him. However, she learned much of what she knows from her mother, who kept him alive in those memories, according to Magoon. Magoon explained that this was the first time she had ever co-wrote. She said that while it was exciting, it was also a different process than when she writes on her own. Shabazz provided the content of the story and Magoon translated it into a historical fiction novel about Malcolm’s life. Magoon believes that their separate skills complemented each other well while they worked on the novel together. Magoon said that was very impressed with the Big Read, the program that brought her to Albion as it studied the book this summer. She loved the community involvement in the program, and especially the involvement of young people in the program. Twenty-five teenagers led the program’s reading discussions, as well as working with Big Read events throughout October. They also read other books to connect to X: A Novel in order to expand their knowledge on the Civil Rights Era. She had not known anything about the Big Read program before she was invited to speak here, after Shabazz spoke at the opening ceremony in the beginning of October. Magoon was also able to talk to some of the young people who were involved in the Big Read, and was very interested in hearing their thoughts on the book and her writing process as she visited classrooms in marshall and spent an hour with the twenty five student leaders. She gave the keynote speech at the closing ceremony for the Big Read, where the students were recognized with awards for their leadership and participation in the program. “It was really fun and festive celebration, and it felt like something that was much bigger than the book. It felt like an author’s dream to see their book take on that sort of mantle,” Magoon said. Kellie Brown is a third-year English and history double major from Traverse City, Michigan.